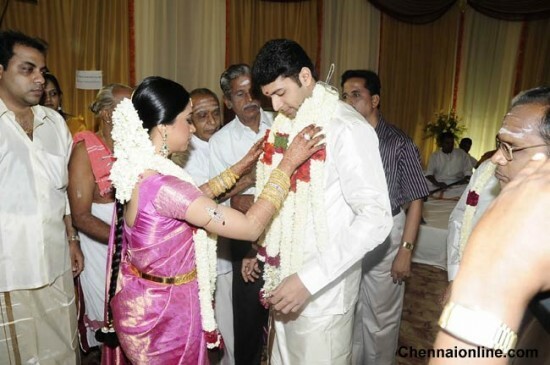 Jeyam Ravi recently married Aarthy Vijayakumar at ITC Park Sheraton Hotel Mowbarys Hall on June 4th. The reception was held on June 7 at Mayor Ramanathan Centre. Posing for the lensmen, the couple was cosy and comfortable with each other. The surprise element of the reception was the rare appearances of celeb couples Sirish and Nadia, Ramki and Nirosha.